iPhone power adapters tested: Is fast charging worth the price? 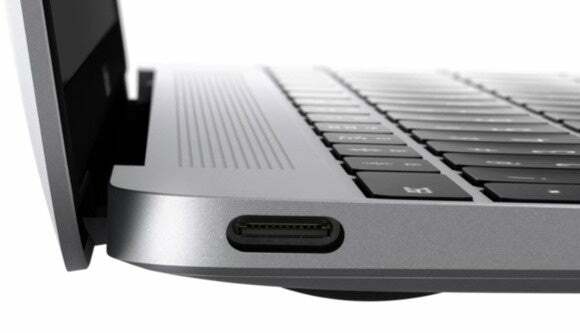 When Apple announced the MacBook in March, the new USB Type C (USB-C for short) port caused head shaking and chin scratching. Though the standard had been released in September and shown off at the CES trade show in January, no ecosystem existed. It was hard to know how a single-port USB-C laptop would function in the real world. In the days that follow the announcement, cables and adapters started to be announced and even ship. The MacBook landed in people’s hands—including ours at Macworld—in mid-April, and I’ve been purchasing and receiving review versions of adapters for several days. Here’s a rundown of what’s currently available and what it can do for you. But first, let’s define some basics. How fast is USB-C? USB-C is a cabling standard that incorporates various versions of numbered USB standards, passes power bidirectionally, and is compatible with VESA’s DisplayPort 1.2 and later specifications. In Apple’s first use in the MacBook, the maximum data rate is 5Gbps. Doesn’t USB 3.1 support 10Gbps? Yes, but that mode isn’t mandatory. Apple has implemented a perfectly acceptable version that’s only 5Gbps and called USB 3.1 Gen 1, which is effectively a rebranded USB 3.0 (SuperSpeed). Future versions of laptops from Apple and other companies will certainly offer the full potential speed under the standard USB 3.1 Gen 2 and the brand name SuperSpeed+. What’s the difference between a power and sync cable? Apple ships the MacBook with what it’s calling a charging cable ($29 when purchased separately) with USB-C male connectors on both ends. It’s designed to pass power using USB-C standards, which allow for up 100 watts, and the MacBook has a 29W adapter ($49 separately). However, data on this cable only works using the USB 2.0 standard. Does USB Type A only carry USB 2.0? Just to make things harder, no! Some USB cables with a Type A connector can carry USB 3 data between USB 3 ports. You should see SS for SuperSpeed molded on the correct side up of the male connector if it supports either 3.0 or 3.1 Gen 1 speeds. Cables with SS+ handle 3.1 Gen 2 speeds. However, some early cables merely have the generic USB icon even when they are packaged and work at USB 3 speeds. Right now, I have two nearly identical unbranded cables, one of which is USB 2.0 only and the other USB 3.0. Apple isn’t expected to have its multiport HDMI and VGA adapters generally available for a two to four more weeks, but the company sent us review units. We also purchased Apple’s USB-C male to USB 3.1 Gen 1 Type A female adapter ($19). Apple's $79 Multiport AV adapters let you connect a display, your charger, and one USB device. The Type A adapter is designed to support any USB 2.0 or 3.0/3.1 Type A male cable, and in testing, it did. This included a third-party ethernet adapter that required a Yosemite-compatible driver, discussed in the next section. I tested the HDMI adapter with both an HDMI-to-DVI and HDMI-to-HDMI cable, and each worked just as expected with an Asus VG248QE, a 1080p (1920 by 1080 pixels) with HDMI 1.4, DisplayPort, and dual-link DVI-D inputs. The VGA adapter also tested as expected with a Dell monitor with native VGA support. I did not have a 4K monitor on hand to test. Apple says resolutions of 3840 by 2160 at 30Hz and 4096 by 2160 at 24Hz are supported, and reports elsewhere indicate mixed results with 60Hz monitors or monitors in a 60Hz mode. The USB Type A converter works as expected as well with all the cables I tested it with, including some uses I didn’t expect below. Apple’s MacBook launch included some confusion, because the company said that the USB-C port it included had “native” DisplayPort 1.2 video output. 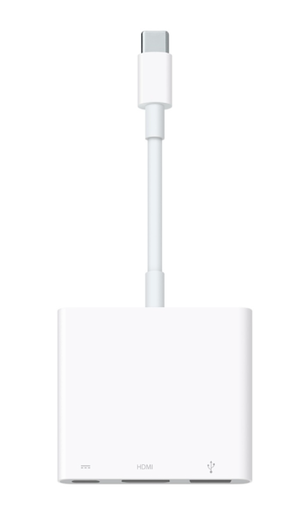 But Apple neither sold such an adapter, nor has it apparently announced any plans to do so. 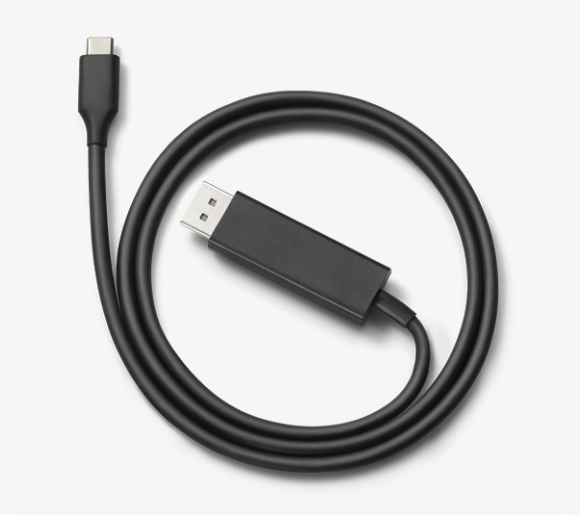 Google's USB-C to DisplayPort cable works with the new MacBook. While I acquired both USB-C to USB 2.0 Type A and 3.0 Type A cables, these are trickier to test, because of Apple’s limited support for USB-based transfer, except with Migration Assistant and Setup Assistant. The 2.0 cable won’t work at all between Macs, and because it’s a Type A connection at the end, it typically can only plug into “host” devices, like a computer. Printers, drives, and other peripherals almost always sport a square Type B port. I wanted to test the C to A cables with a USB 3 hard drive, but most drives use the USB 3.0 Micro B jack, and include a cable with that type of plug on one end and a Type A on the other. I was able to confirm via Apple’s Type A female adapter that such an arrangement connects and transfers data at 3.0 speeds. At some point, we expect to see USB-C alongside or instead of Micro B, reducing adapter and cable types required. Apple's USB-C to Type A adapter does support USB 3.0 speeds if you have a USB 3.0 cable to plug in. While I had an Apple 100 Mbps ethernet USB 2.0 adapter on hand, I wanted to bump it up a notch. The Thunderbolt gigabit ethernet adapter was, of course, not an option, but Cable Matters offers—take a breath—a SuperSpeed USB 3.0 to RJ45 Gigabit ethernet Network Adapter in Black ($18). The color matters when you’re trying to figure out the driver to download, because it’s shipped different versions of similar adapters. Yes, this adapter ships with a CD-ROM and a note to download a driver from the web. Fortunately, ASIX, which makes the underlying hardware for this adapter, is up to date with an OS X 10.10 Yosemite driver, which installed and worked perfectly at both 100 Mbps and gigabit speeds. Apple’s main stumble regarding USB-C is coming out ahead of passthrough cables. Its two multiport adapters are expensive and shipping late, which will lead to some frustration. There are just a smattering of connectors out now, hinting at the ecosystem yet to come. It includes almost nothing related to power, which will be where we’ll see the most diversity and options, as multiport splitters, power adapters, and batteries will be produced for many USB-C devices and ostensibly will all be compatible with one another. We’ll add new installments as more hardware appears, and let us know your experience with early cables and adapters.